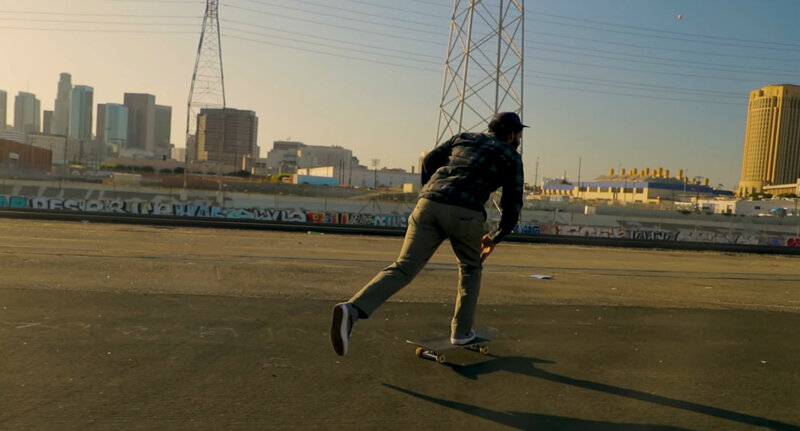 Exploredinary, the Dallas duo who like old-school, dark-room camera work, have started a series of short docs on three fabled skateboarders – including actor Jason Lee – who have turned to photography. Dallas-based Exploredinary – the artistic duo Sarah Reyes and Daniel Driensky, featured in Art & Seek’s Spotlight series – have created a new, three-part, short-documentary series called ‘Legends of Skateboarding.’ The first completed film just went online (above), and as the other two follow, Art & Seek will be posting them. Created in collaboration with Ilford Photo, a UK manufacturer of black and white film, ‘Legends of Skateboarding’ focuses on three celebrated skateboarders who also shoot film: Ray Barbee (professional skateboarder for nearly 30 years, musician, photographer), Joe Brook (staff photographer for Thrasher Magazine), and Jason Lee (actor, photographer, former pro skater). It might seem strange to wed the swooping athleticism of skateboarding with old-school, dark-room, celluloid photography, but as Exploredinary puts it, “skateboarding is the confluence of athletic ability and the creative ability to maneuver new terrain, invent tricks and pursue a unique personal style.” These same skills and impulses, they believe, extend into capturing visual imagery. What’s more, photography and videography are what capture skateboard stunts. Meanwhile, graffiti-like graphics made from illustrations, paintings and photos are often used to decorate skateboarding decks. It’s no surprise then: An early exposure to the arts can lead to a professional arts career for skateboarders. Each skateboarder/photographer profiled in ‘Legends’ attributes his passion for analog film to skateboarding. Ray Barbee recalls going on a skateboarding tour across the United States and realizing he needed to document peak moments. Joe Brook arrived in San Francisco in the 90ʼs and after seeing prominent skateboarding photographers, he took to the idea of making a living photographing the sport. Jason Lee cites the tours he would go on as a professional skateboarder as the origin of his passion for photo road trips. While skateboarding shaped their curiosity for the craft, these athletes developed their styles through their unique sensibilities. 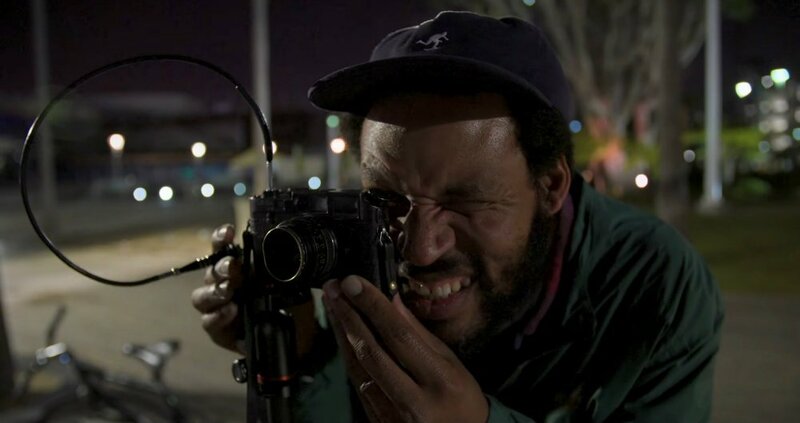 Ray Barbee, is an accomplished black-and-white film shooter and dark-room printer who also divides his time between skate tours as well as touring with his band. Barbee’s film, ‘A Common Thread’ (above) is about finding enjoyment in things that are challenging. Ray believes that skateboarding, photography and music are all crafted by various factors outside the artist’s control and augmented by imperfections. Ray, you’re a musician, photographer but first and foremost, you started your career as a skateboarder. As an integral part of the skateboarding community since the ’80s, can you describe the factors that led to your distinction and fame? I started skateboarding at twelve years old. I got into skateboarding at the tail end of the backyard ramp era, and so for me, I had broken my wrist skating a ramp, and my parents were like youʼre not going to skateboard while you have this cast, but I had a buddy who had a backup skateboard (laughs) and so when I would go skating with my cast, we couldnʼt go skating at the ramps, because I knew my parents would probably find out. And so we just started skating street. So basically, the tricks that I learned during that time skating street, and because skating street was so new at that time, we stumbled across a lot of ideas that people had never seen. And you couple that with me getting sponsored by, at that time, the biggest skateboarding company that was around, and the platform that they have with the videos and everything, a lot of these ideas get tied to me, these tricks we were coming up with. And again, it was a time when street skating was very new, and so for me coming out with these videos, with these tricks, is what allowed me to still be around to this day in skateboarding. What motivated you to first pick up a camera? I remember there was this one skateboarding trip where we were gone for like two months, and we were touring around the states, driving from LA and ending up in New York, and everywhere in between, and I remember about two weeks into the trip, I was just like, ‘Man, I’m blowing it, I’m missing moments.’ And one of the photographers that was on the trip [Joe Brook] was like, ‘Ray, when we get to New York, I’ll take you to this camera store called B&H, and I’ll tell you the camera to get.’ And I’m like, ‘OK,’ we get to B&H and he pulls out this Yashica T4, and that camera was basically my companion for, like, the next six years. I just took it everywhere with me. Are there any similarities that you find across your creative endeavors? I have that type of personality that just gets excited about a lot of things, and so I feel like all my interests, whether it’s skateboarding, whether it’s photography, whether it’s music, to me, there’s always a common thread through it all, this idea of just really finding enjoyment in things that are challenging. Skateboarding created in me this need to have a challenge. There’s a sense of like, if something’s too easy, it kind of wasn’t worthwhile. You know? I need something to make me feel a sense of accomplishment and a lot of times, that sense of accomplishment comes from somewhat of a battle, if you will. Which lends itself to learning and developing a craft. So coming from skateboarding, skateboarding has a very steep learning curve, but once you get over it, the gratification, the enjoyment from that, that’s what I’m striving after a lot of times. That’s what makes it all fun. And so, shooting film, there is a part of that process where it’s like there’s so many different elements from processing the film to the light that you got to eventually ending up in the dark room and printing, where again, it’s this dance, this contribution that gets managed through this long process, and then when you get to the end, it’s super gratifying. Ray Barbee in Los Angeles. You are known almost exclusively as a black-and-white photographer and dark-room printer – what is it specifically about black and white that attracts you? With music, the part of music that I got excited about was the part that functions like black and white photography where it’s just freedom and there is no right or wrong, and you can just do what you want to do, and people can only say if they like it or don’t like it. How would you describe your photographic aesthetic? I would say that my style is that I really get excited about the candid moment. A lot of good photography boils down to accessibility. And if I think about the community and the culture that I’m a part of , that I love so much, I started thinking like, ‘Wow, I have an opportunity to have my take on this, to see it from my perspective, from one who’s in it.’ And that really hit me, and I was just like, ‘Man, I want to start documenting my community.’ I’m so blessed to be a part of this community, to travel and to do this, I want to shoot this, and then inevitably, it’s so natural to shoot your family. So when I look back at all my negs, it’s really that – it’s my family, it’s these trips with my friends, it’s being a part of this culture, but the core of all of it, it’s just this desire to shoot the candid moment but within that the subject matter becomes the emotional connection with the people that I love. Youʼve been busy touring the world performing music off your new album, ‘Tiara for Computer.’ Can you talk about the new direction you’ve taken in modular synthesizers? Well, I did that same thing with synthesizers but analog synthesizers because analog synthesizers have those same qualities, where they are unstable at times, they drift out of tune, but all those things I’m learning are the main ingredients of what I appreciate and what I have an emotional connection to with, for lack of a better term, analog kind of things. 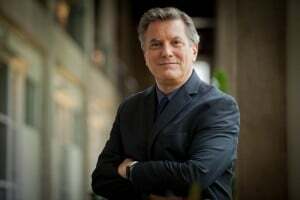 And so, the appreciation really comes from the imperfection aspect of it which I think I have a deep emotional connection with because we aren’t perfect. So I realized that I get excited about those things that are not perfect but have this dynamic to them of having their own input, if you will, because of the imperfections of how they function.